Welcome to another blog post! Today's blog post is all about my ideal day at Live At Leeds. 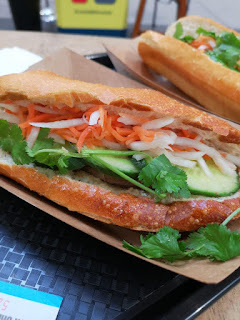 I went to the festival last year and had an absolute hoot with Michelle so I thought that doing an ideal day would be a good idea in case you're going to the festival and wanting some ideas when it comes to who to see or where to eat at an all day festival. When I did LAL last year we wandered and found a band that we liked the sound of and then we went from there. I would probably start off at Nation Of Shopkeepers and watch Shadowlark. I would then walk to Headrow House to watch White Kite then Life at Leeds Beckett Uni Union. After this I would walk up to the beautiful Belgrave Music Hall to watch KYKO. I would then visit The Faversham to watch Tom Walker then to the Trinity Leeds stage to see Glass Mountain then maybe Artifical Pleasure for a tiny bit at Oporto. After this Idles at The Key Club After this I would see Clean Cut KidThe Independent Stage at Leeds Uni Union. then Slaves at O2 Academy. Finally I would go and visit Rag N Bone Man at Leeds Uni Union. There is three places that I would consider for food consumption whilst at Live At Leeds. The first one would be Bundobust. 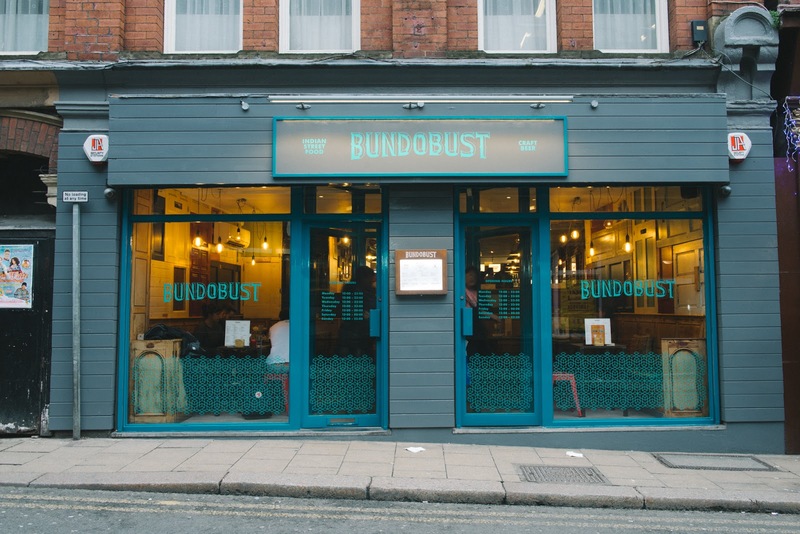 Bundobust do amazing food at an affordable price and it's great for vegetarians. 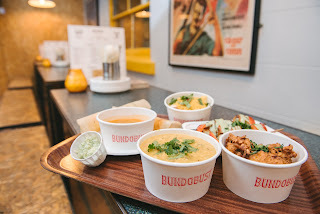 As Bundobust is based on street food you can grab something quickly and then walk back to the location of where the preferred stage is with the food. The second location that I would choose for food is Barburrito. I love a good Burrito! Although Burritos can be quite messy, I think that they are amazing especially in warm weather and outside stages such as the Trinity Leeds venue. As Barburrito offer bottomless soft drinks, it does mean that you can always refill your drink after a performance in case you're parched. The last place that I would choose when it comes to food is Trinity Kitchen. 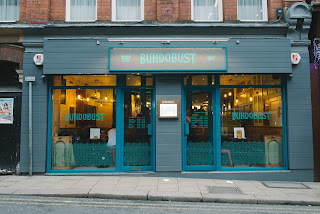 Just like Bundobust, this place is based on street food which means that if you're with friends or in my case Michelle then you can all get something that fits your own preferred tastings and something that fits your budget which I love. I personally love Pho and Chicago Rib Shack but I'm loving the sound of a Cadbury's Scotch Egg from The Baking Biker at the minute! I love all three of these places so honestly I wish that I could get something from each of these businesses whilst enjoying Live At Leeds because I'm a greedy person who loves his food. Baa Bar is located next door to O2 Academy Leeds therefore as it is near venues such as Leeds Beckett University Union it is a good place to grab a drink throughout the day. Myself and Michelle went there during Slam Dunk and it was amazing. I would also say Wetherspoons for a drink after Live At Leeds due to one being next door to The Key Club and one near Nation Of Shopkeepers which are great stage venues in this years festival. Wetherspoons is open until around 2am normally which is great as you can get a nicely priced drink and rest your feet. Honestly I would love to get a hotel for the night and then roam around Leeds on a Sunday to check out places like Leeds Markets but I would normally see if I can stay at a friends or I would probably just get a taxi home as I live in Bradford so it would probably cost less than a hotel. Have you got your Live At Leeds festival ticket yet? If not then click here to get them. 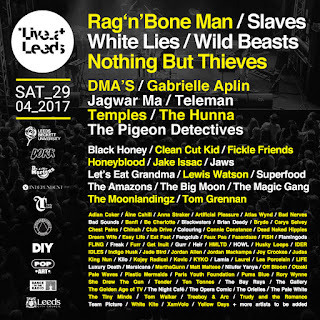 How would your ideal day at Live At Leeds go? Would you change anything? Let me know down below! Thanks for reading this post! I hope that you have enjoyed it and let me know if you would want to see more music based posts! 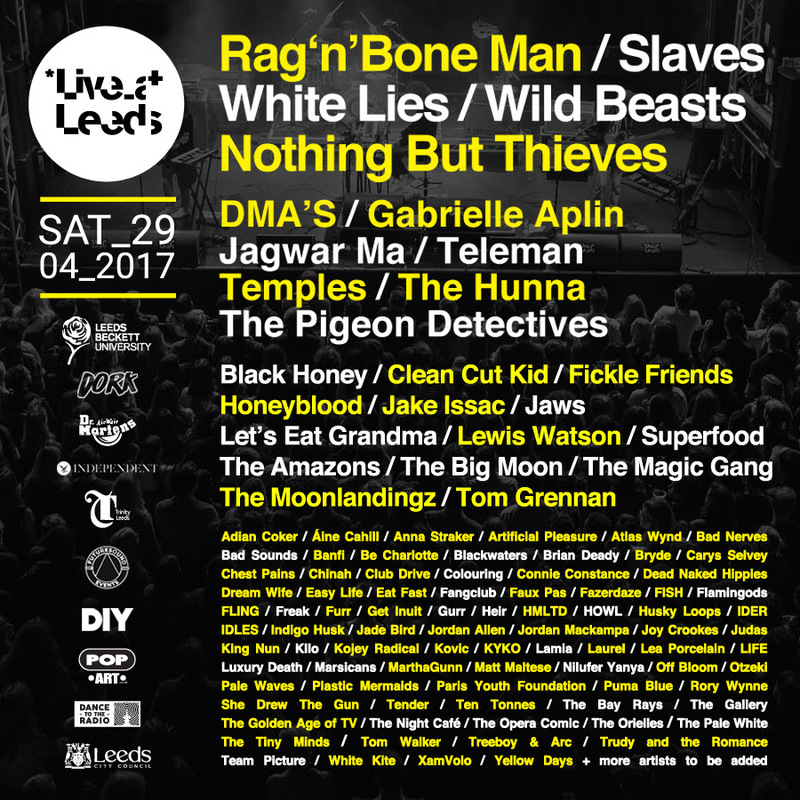 This post was in collaboration with I Like Press to promote Live At Leeds 2017. All views and opinions in this post are my own.